DogWatch® Hidden Fences keep your pets safe and are safe for your pets. Our hidden fences allow pets to run, play and exercise so they stay happy and healthy.  With DogWatch, your pets will stay safely in your yard and away from places you don't want them to be. Designed with both you and your pet in mind. 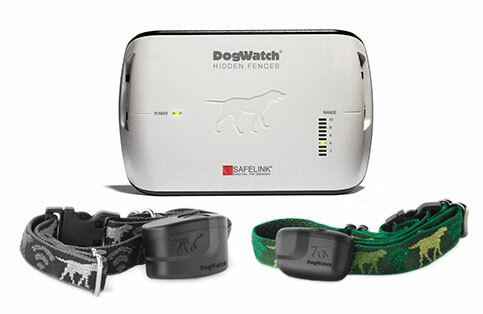 The DogWatch Hidden Fence is rated a Consumers Digest’s ‘Best Buy’. The DogWatch Hidden Fence is rated a Consumers Digest ‘Best Buy’ in the underground pet-containment category. We are the only underground pet-containment system to earn a ‘Premium Selection’ designation (i.e., a full-featured product that delivers excellent performance). We offer a 30-day Equipment Buy Back if you are not satisfied with your Hidden Fence. We help you design a system to fit your yard and your lifestyle. You can designate “pet-free” zones within the fence boundary. Works with any size property from small yards to 200-acre farms. Works with all breeds, ages and personalities of dogs and most cats. 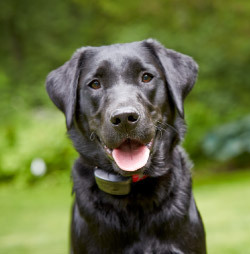 No limit to the number of dogs (or cats) per system — each pet wears an individually programmed pet fence collar. Works in concert with our Indoor Boundaries for seamless transition from outside containment to inside pet management. DogWatch works coast-to-coast and in many other parts of the world. If you move, you can take your system with you. We offer safe and effective PetFriendly™ training by experienced professionals that makes it easy for pets to learn in a few sessions. After we install your hidden fence system, it is unlikely that you will need to adjust anything. However, should an adjustment be needed, all our equipment has easy to understand and adjust settings without the hassle or expense of an in-home service call. We include a Lifetime Equipment Warranty on our Dealer installed outdoor systems on both the transmitter and receiver (including dog chews on receivers!) at no additional cost. DogWatch products are compliant with the Reduction of Hazardous Substances (RoHS) initiative - a European-based initiative to reduce the amount of lead and other hazardous metals in electronic products. The R9 receiver, our most popular, is a full feature receiver with a battery life of up to two years. The R7 mini is a Big Product in a small package. It is the smallest receiver available at only 1.1 ounces (including the battery! ), Perfect for small dogs and cats! DogWatch receivers have multiple settings for different pet personalities and can be set individually for each pet.  The settings are easy to understand and easy to adjust – no service call required. The multi-function status light on the receiver lets you know if the battery is low or needs to be replaced. It also shows you if your pet has recently challenged the boundary (the “Tattletale” feature). The DogWatch receiver is tested to withstand the harsh outdoor elements of rain, sleet and snow . . . as well as rigorous play! If your pet challenges the boundary, this patented safety feature automatically increases the receiver level for 24 hours. These unique contact posts are easy on your dog’s skin. They are smooth like our standard stainless steel contact posts to minimize friction and low profile for a comfortable Pet-Friendly fit. Purrfect for cats and dogs with short coats. DogWatch offers your choice of either an audible or a vibration warning to alert your pet that he is approaching the fence boundary. The vibration alert is perfect for hearing impaired pets. If your dog runs at the boundary, the receiver reacts with a warning signal before he reaches the wire, not while he is traveling over it. The most advanced technology and the easiest to use.  DogWatch is the ONLY hidden fence that uses an FM frequency; all other hidden dog fences operate on an AM signal. Our patented digital FM technology provides the maximum protection against false activation caused by stray radio signals. DogWatch is the only pet fence system that offers FM technology – and that makes DogWatch the most secure and the most Pet-Friendly™ hidden fence available. The combination of settings on the DogWatch transmitter and receiver offers up to twenty easy to understand options to ensure safe and appropriate training and containment for your pet.  You can even set your system to “audible only” when introducing your dog to his new boundaries. This dual function display allows you to set the width of the signal field to best meet the personalities of your pet(s): a larger signal field for would-be escape artists or a smaller signal field for happy home-bodies. It also alerts you to any change in the strength of the boundary signal or to a break in the boundary wire. This is an invaluable safety feature for underground fences. Your DogWatch pet fence is protected should your home experience an electrical surge due to lightning. We’ve gone to extremes, like no one else, to equip your DogWatch Hidden Fence with both internal and external surge protection. External Surge Protection directs power surges and lightning from the boundary wire to the ground rod into the earth and away from your home. Internal Surge Protection suppresses surges coming in through your house wiring and diverts them to your house ground. Custom designed with your pet in mind. Arkansas Hidden Fence proudly serves the NW Arkansas area. Our trained experts are prepared to work with you to create a custom tailored solution for your pet. If you have any questions, please Contact Us or Read Our FAQs. We tailor our system to your needs. Our fences are customized to fit your yard and to keep your pet safely inside the areas where you want them and out of the areas that are “off-limits”, such as gardens, pool and play areas. Click below for sample configurations. What is a DogWatch Hidden Fence System? The DogWatch Hidden Fence is a pet fencing system that uses an electronic FM radio signal to keep your dog in a designated containment area, such as a yard; or out of an area, such as a swimming pool, patio, or garden. We also have Indoor Boundaries that work inside your home to keep your pet off a couch, out of a room or away from a kitchen counter. We offer a Lifetime Equipment Warranty on our outdoor systems installed by an authorized Dealer. There is also a limited 30-day equipment buy-back guarantee if you are not satisfied with the system. Our R9 receiver battery lasts up to two years – longer than any other brand. Our R7mini receiver battery usually lasts 6 months or more – longer than other receivers its size. How large an area can be ‘fenced’? DogWatch Hidden Fences work on up to 200 acres and all types of terrain, including water. You can contain your dog in or out of most anywhere, including inside your home to keep pets away from furniture, out of the trash and off of countertops. Contact Us for a free consultation and estimate. We are so pleased with our fence! Jaz is doing very well. She respects the boundaries and responds immediately if she hears the "tone". The DogWatch fence is not confusing to her like the other invisible fence was.